Last weekend I was lucky enough to be invited on board the latest addition to the flotilla of boats offering trips on our beautiful River Dart. 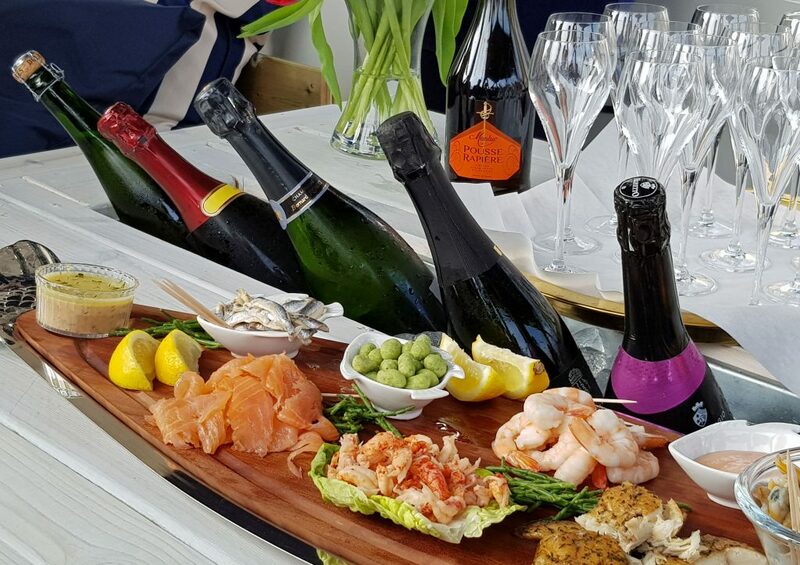 Vivere aka The Fizz Boat is the brainchild of Gaynor & David Ramsden who are on a mission to help people make memories, live life to the full and introduce them to the pleasures of popping the cork … something I am wholeheartedly in support of !! 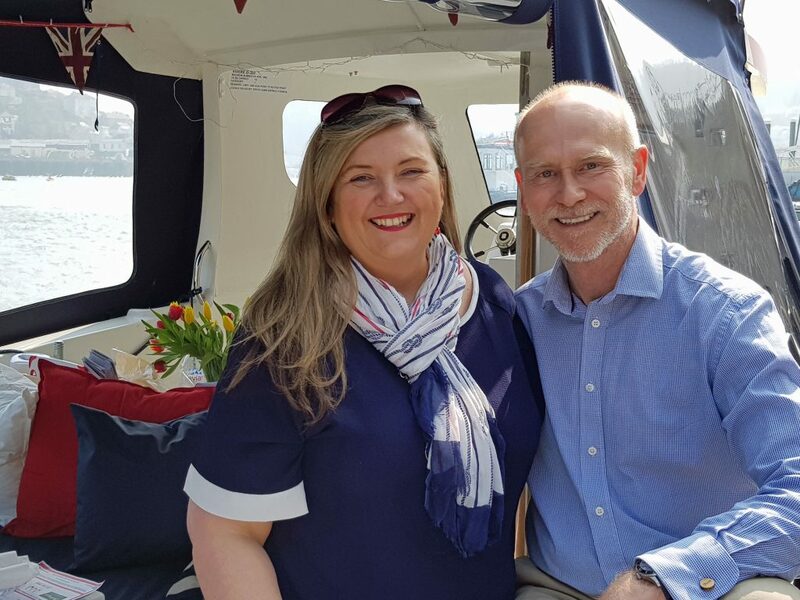 David & Gaynor were seduced by the beauty of Dartmouth many years ago : David started his working life at the BRNC, the couple were married at the Dart Marina during Regatta in 2008 and had their wedding breakfast on board The Picnic Boat. One of Gaynor’s favourite memories of the town is walking down the Embankment the day after their wedding in the quiet of the early morning watching the river slowly come to life. They knew then that this was where their future lay. 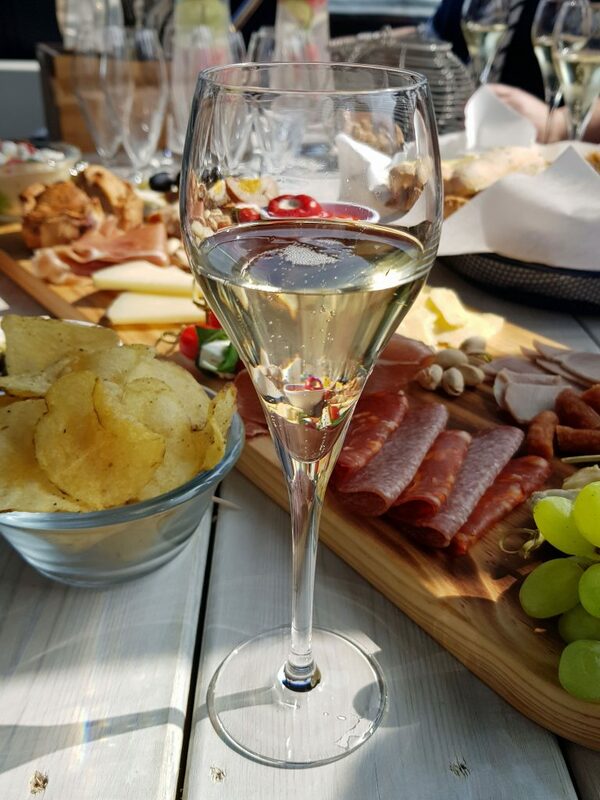 We set sail on a rather blustery Saturday lunchtime but soon forgot about the choppy waters as the corks popped and the fizz flowed. 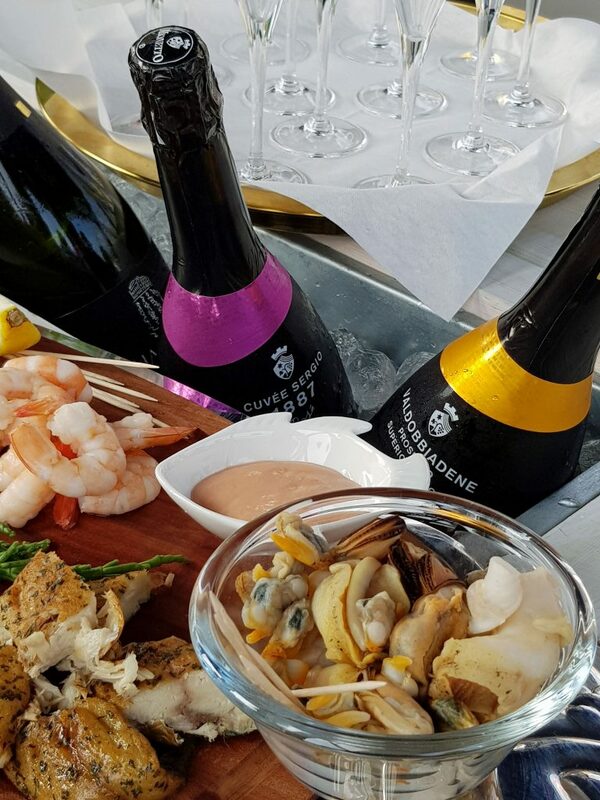 Phil from Castang Wines in Looe was on hand to guide us through the range of Champagnes, Prosecco and wines which included an interesting and delicious sparkling Shiraz and a “not for the faint hearted” cider from Bollhayes in Exeter. 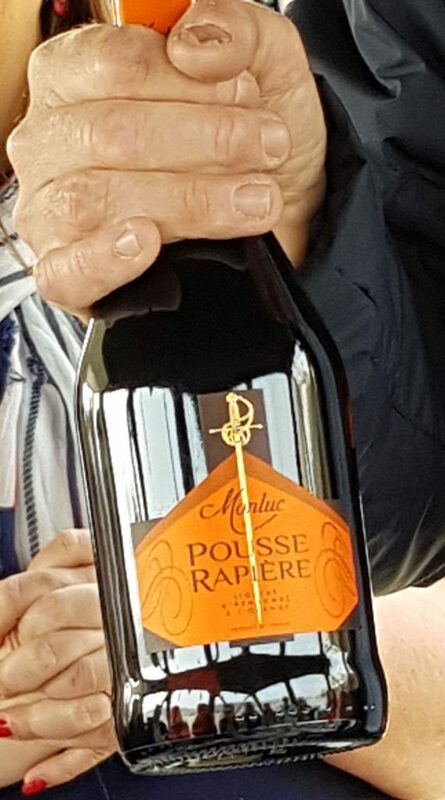 We all agreed that the Sparkling Blanc from Sharpham was our favourite of the day (and not just because it was the most local) – although the armagnac liqueur Pousse Rapière was also a highlight. 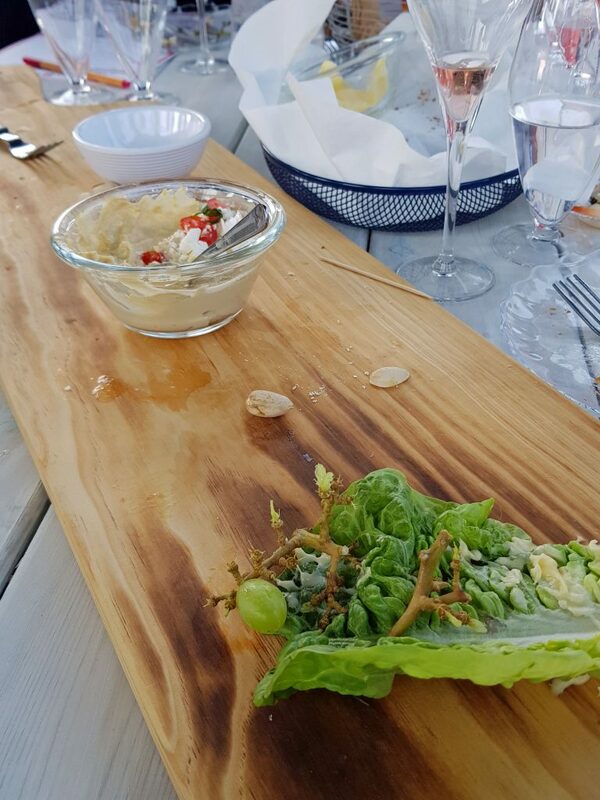 As well as using the The Fizz Boat for celebrations, Gaynor and David are also keen for it to be thought of as an alternative venue for other occasions such as board meetings, corporate and networking events. They are already supporting the Dart Music Festival and running special cruises with local musician Nick the Fish and also hope to host special interest groups such as photography, painting and writing forums in the future. 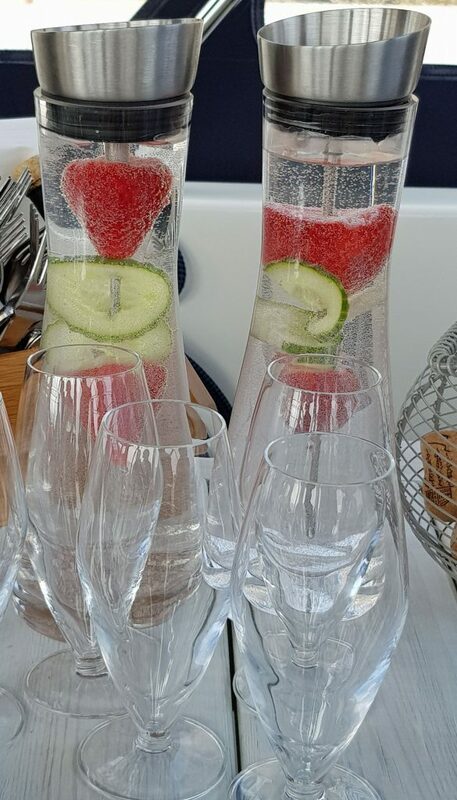 In addition they also plan to run Fizz Parties on dry land where they bring along their nautical props, boat bar, fizz wall, ‘Glam My Fizz’ Table and of course, the all important fizz to your own event. Vivere means “to live” in latin, and it’s clear that’s exactly what David & Gaynor intend to do. They are hugely enthusiastic and full of passion for their new adventure and despite the cliche are obviously following their dream. And I for one wish them all the success in the world. Cheers to you both. You’re welcome. You’ve both worked so hard to get this off the ground and you deserve to do well. Enjoy the sunshine!! 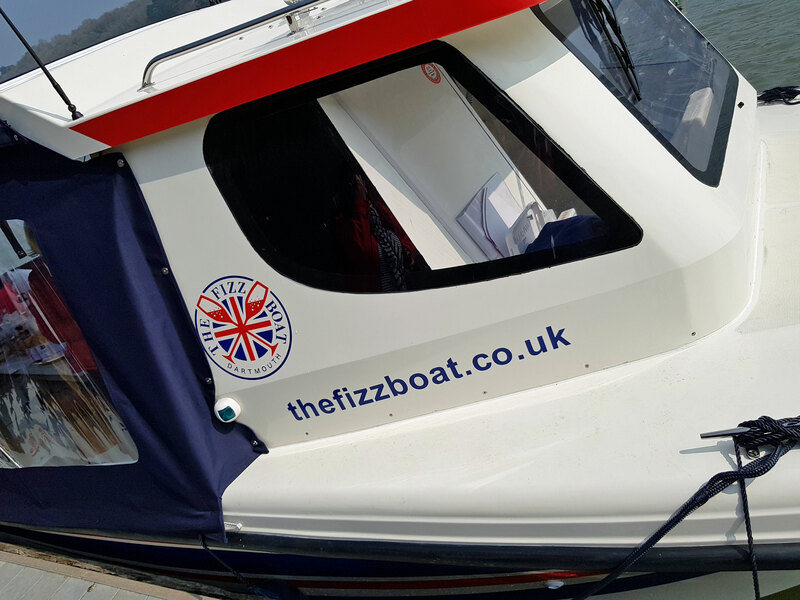 Likewise Helen, we really appreciate you taking the time to write such a fantastic blog, so eloquently describing your experience onboard The Fizz Boat. 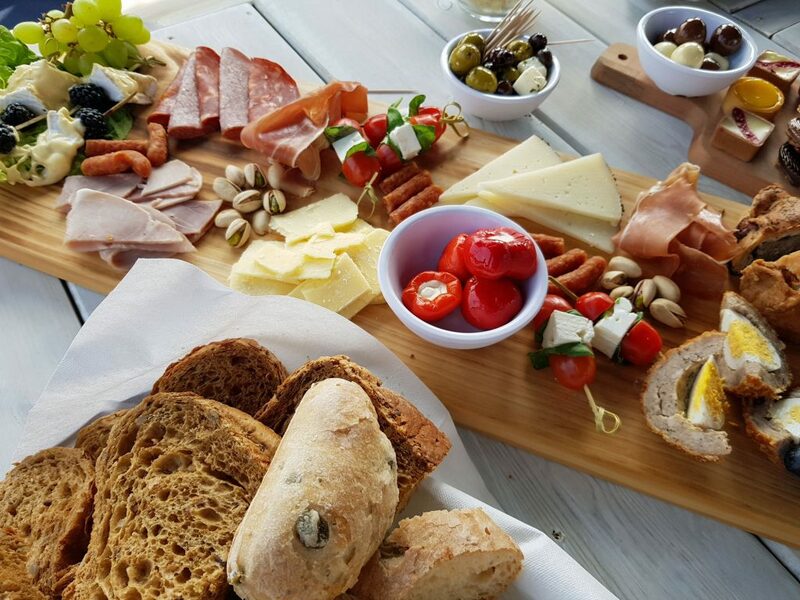 We look forward to welcoming you onboard again very soon. And you must bring Adam too next time!